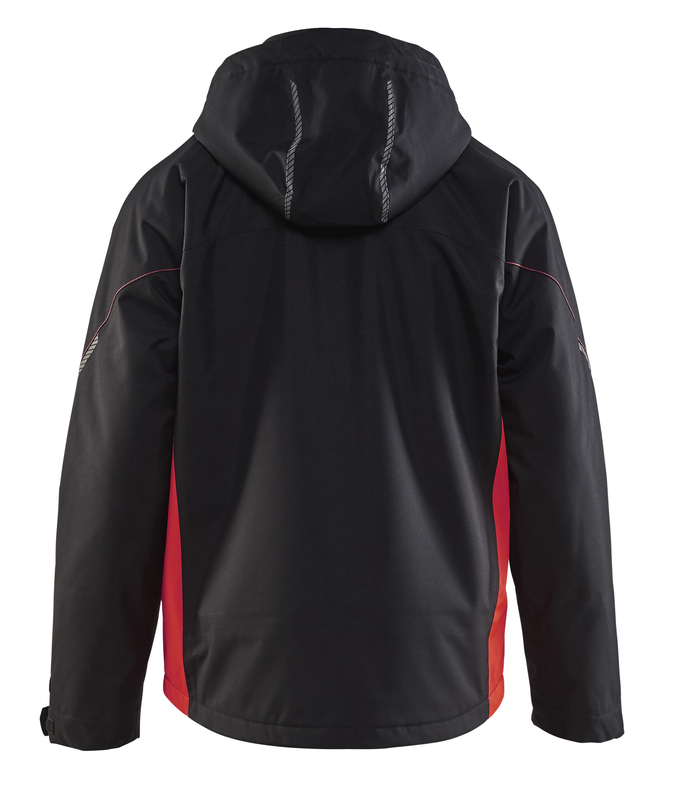 Shell jacket with taped seams and windproof and waterproof surface material that protects against wind, rain and external wear. 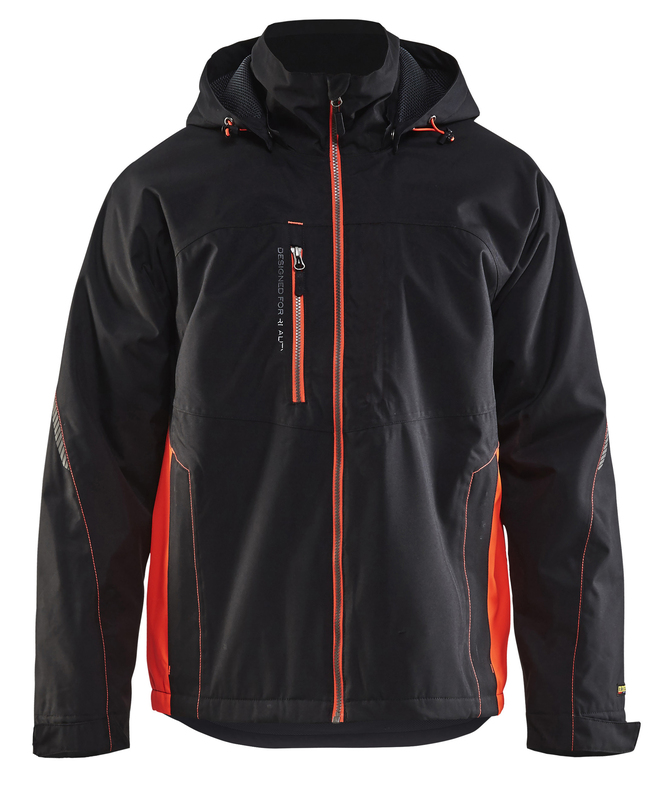 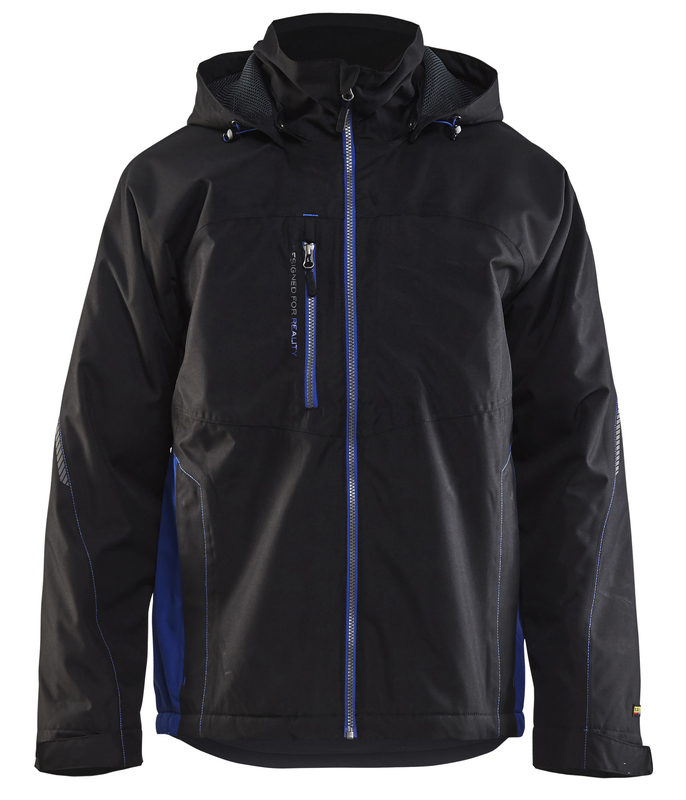 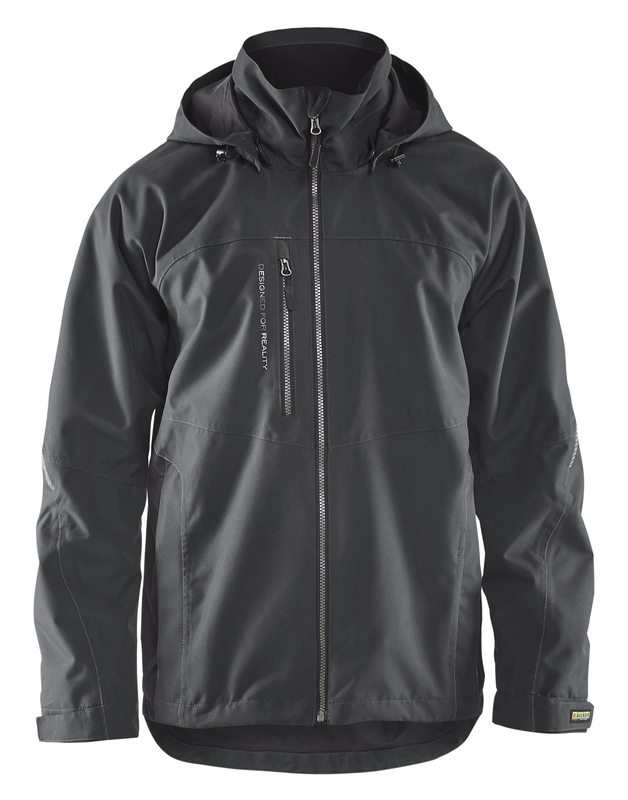 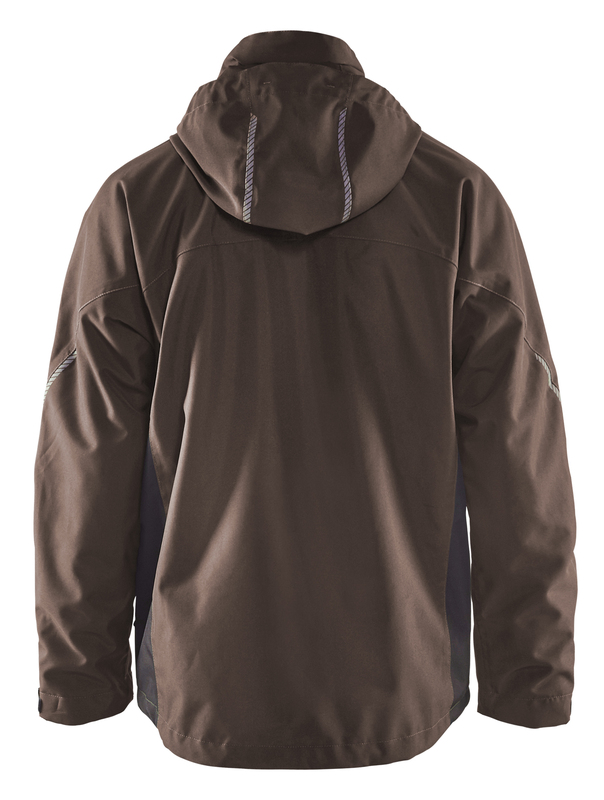 The shell jacket integrates with other layers of clothing by releasing moisture. Drawstring and stoppers at hem. 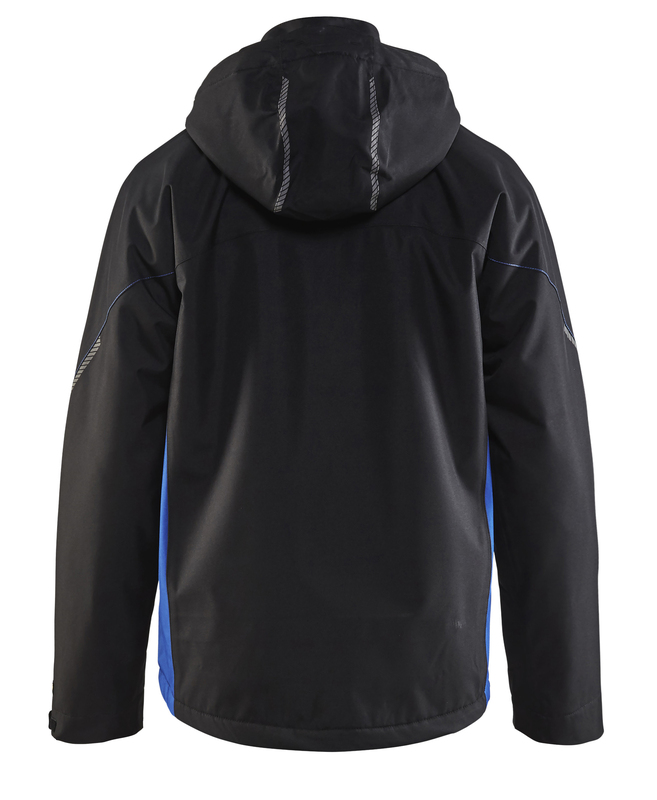 Detachable hood with mesh lining. Functional pockets including an inner pocket and an inner telephone pocket. 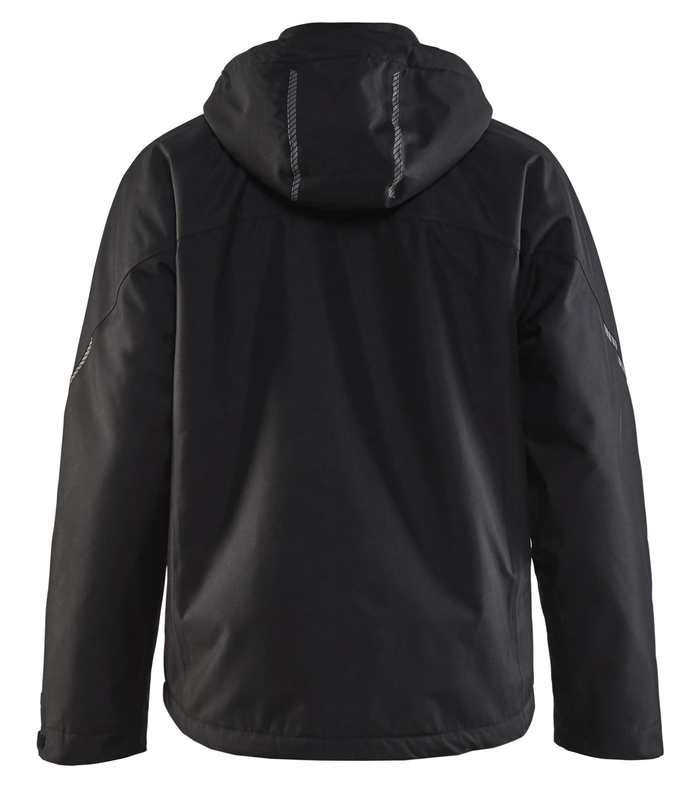 Extended rear panel for good fit. 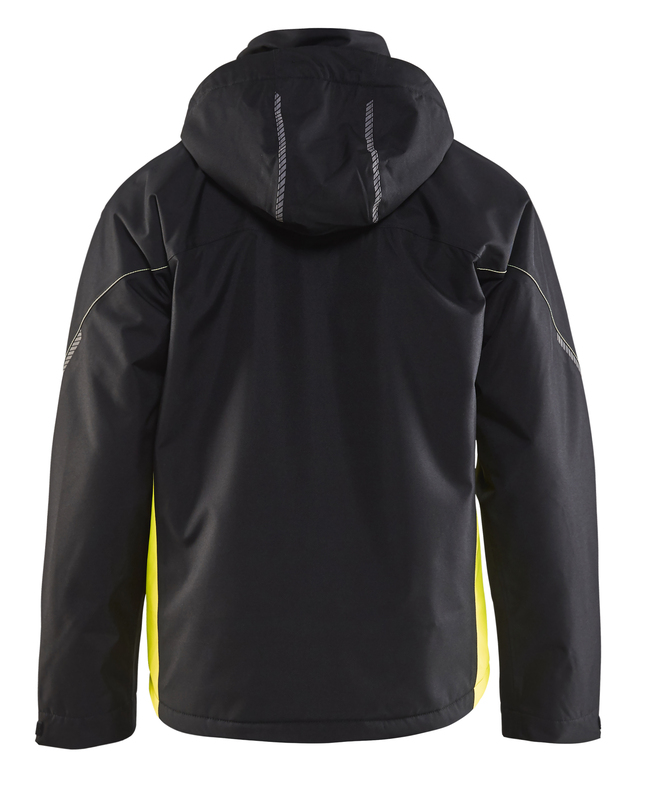 Certified according to EN 343, class 3,3.